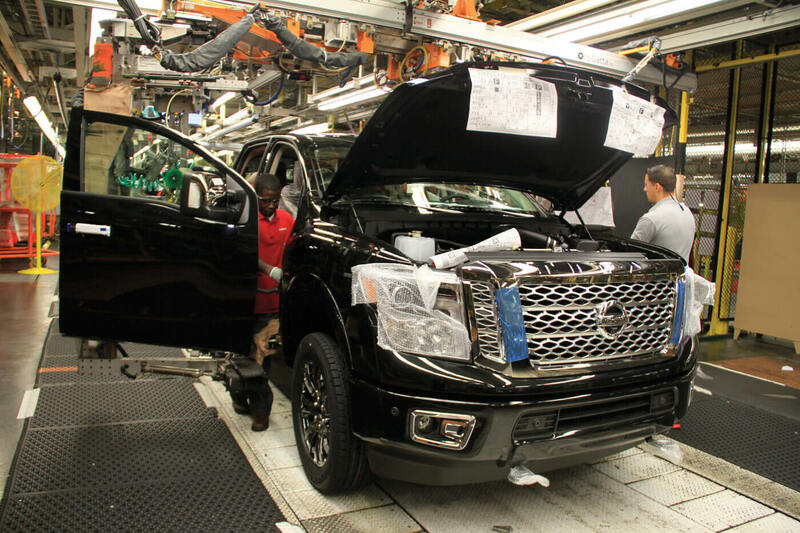 Nissan’s share of the full-size pickup market is so small that it may as well be imaginary. Americans bought 2.3 million full-size pickups in 2014, and only about 12,500 of them were Nissan Titans. 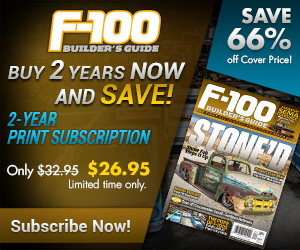 You know how long it takes Ford to sell that many F-series trucks? About a week. 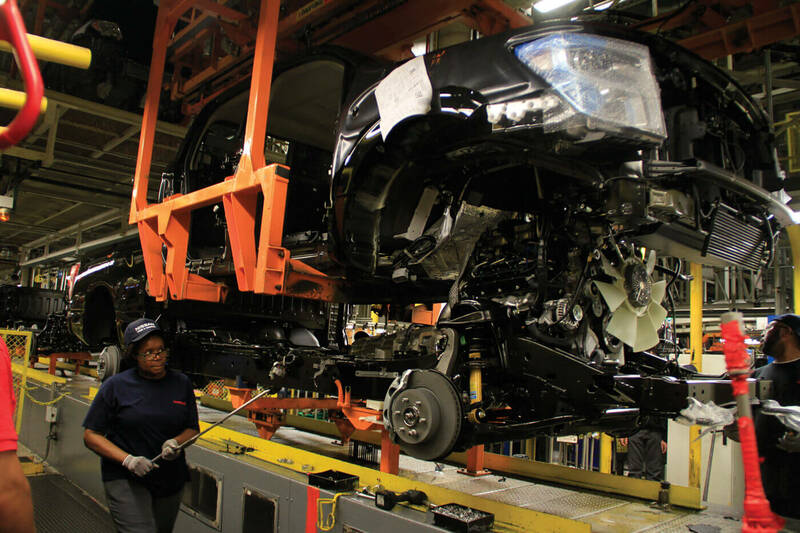 Nissan has about as much to lose as a death row inmate, and so it’s going for broke. Rather than simply replace the 1/2-ton Titan, it’s developed a higher capacity version called the Titan XD, and it’s offering it with a Cummins-sourced V-8 turbodiesel. (Hey, it worked for Dodge, right?) After a few days spent tooling and towing in a top-of-the-line Titan XD Platinum Reserve, we think Nissan might be on to something. Let’s take a closer look at what’s under the hood. 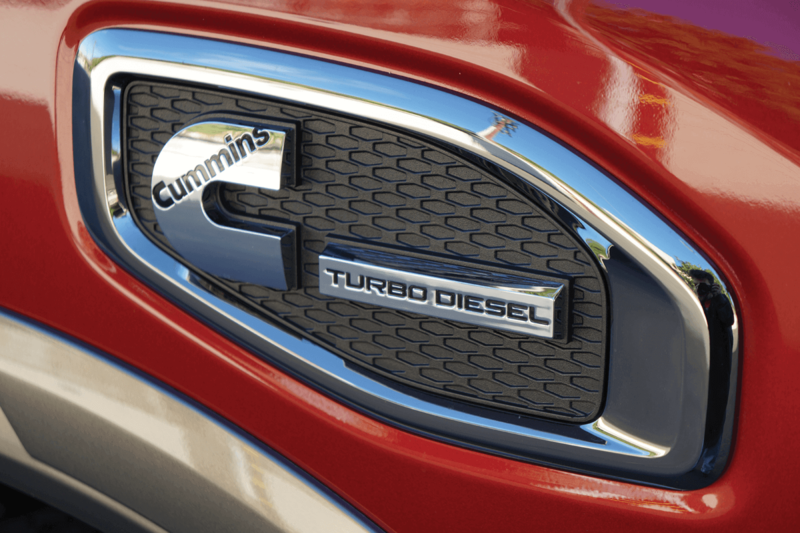 Officially, the Titan’s diesel engine is called the Cummins 5.0L turbodiesel V-8. Isn’t that just a fancy way of saying ISV? Yeah, we thought so too, but Cummins set us straight. 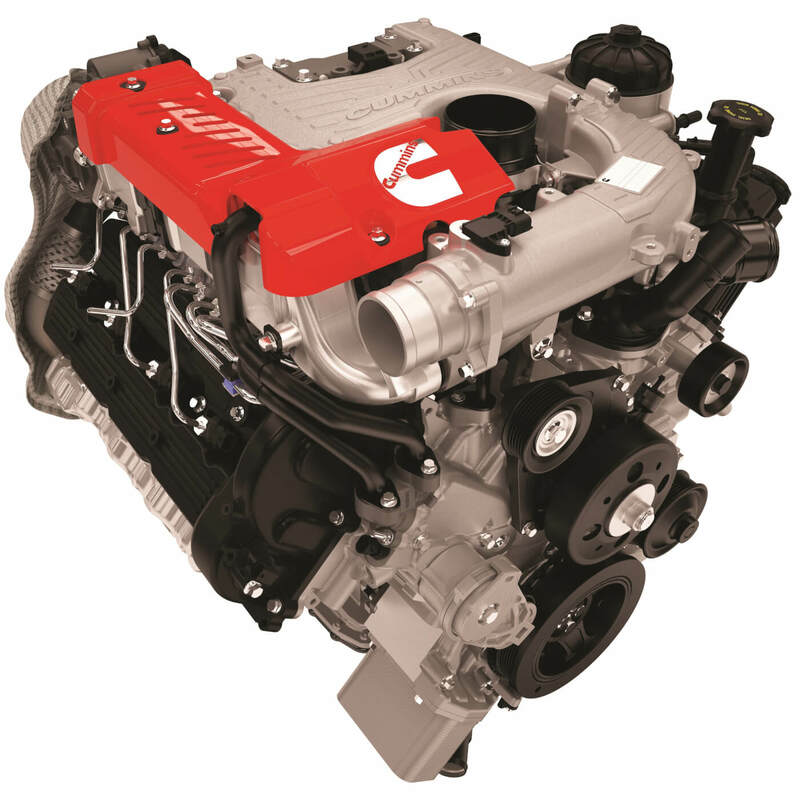 Cummins started developing its new V-block engines in the early 2000s. One particular domestic automaker—which Cummins declines to name—showed strong interest, but when that automaker went into bankruptcy (hint, hint) the project was mothballed. Fortunately, it was right about that same time that Nissan expressed interest in a V-8 diesel for the next-gen Titan. Cummins ended up developing two versions of the engine. The commercial variant is the ISV5.0; it entered production in 2015, and you’ll find it in Tiffin RVs, with more customers to follow. Nissan’s version is built on the same assembly line, and it shares the ISV5.0’s compacted iron graphite (CGI) engine block. 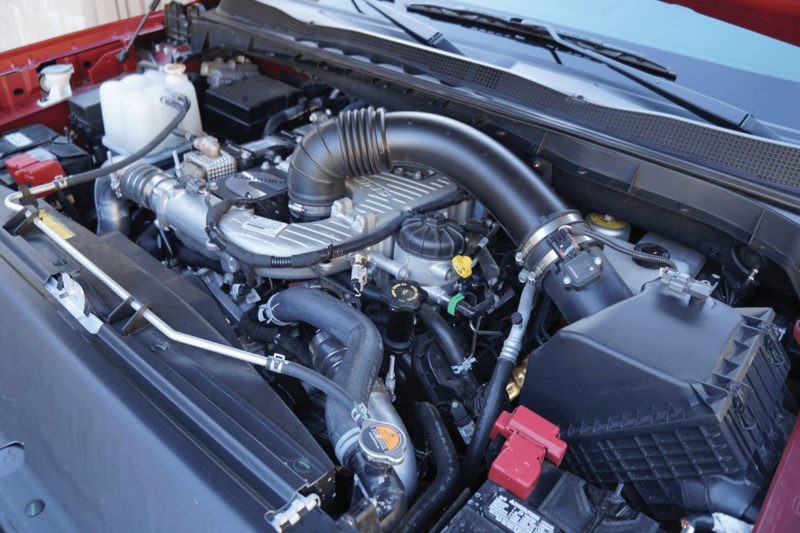 The primary difference is the induction system: While the ISV uses a variable-geometry turbo, Nissan’s version uses the M2 two-stage turbo setup from Cummins Turbo Technology (aka Holset). 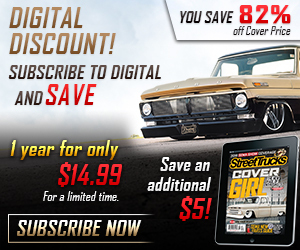 The 5.0L V8 Turbo Diesel brings together a compacted graphite iron (CGI) cylinder block, forged steel crankshaft, high-strength aluminum alloy heads, and composite valve covers to offer maximum durability in a lightweight package. These features, along with dual overhead camshafts, also contribute to the excellent noise, vibration and harshness (NVH) characteristics achieved by the 5.0L V8 turbo diesel. The M2 (pronounced “M-squared”) uses two turbochargers, but it’s neither a compound nor a twin-turbo setup. 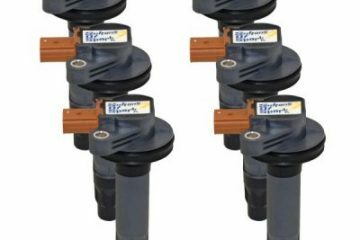 The system employs a small high-pressure turbo and a larger low-pressure turbo, both built into a single housing. Instead of plumbing the turbos in series, the M2 uses a rotary valve actuated through what would normally be the wastegate linkage. A semi-circular piston rotates in a cylindrical housing to direct exhaust flow between the two turbos as needed. The M2 operates in four separate modes: high pressure, low pressure, wastegate and backpressure. In high-pressure mode, the M2 works like a compound setup. Inside the rotary valve, only the port to the high-pressure turbocharger is uncovered. All exhaust is routed through the smaller turbo, after which it passes to the larger low-pressure turbo. 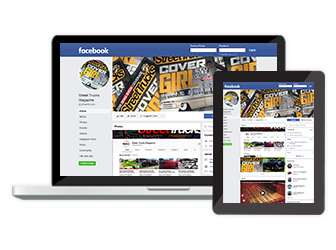 This mode is intended to minimize turbo lag and boost low-rpm response. On the intake side of the engine, where air passes through the larger turbocharger first, a bypass valve directs airflow through the high-pressure turbo’s compressor. Once under way, the M2 switches to low-pressure mode by rotating the valve to uncover the port to the low-pressure turbo. Most of the exhaust flows directly to the larger turbo, while over on the intake side airflow coming from the low-pressure turbo is allowed to bypass the high-pressure turbo’s compressor and pass directly into the intake manifold. The rotary valve can modulate exhaust flow between the two turbochargers by leaving the low-pressure turbo port partially blocked. For maximum power, the system has a wastegate mode. The valve rotates to uncover the wastegate port, allowing exhaust to bypass both turbochargers. The valve also has a backpressure mode, also known as regen mode. The valve rotates back to cover all of the ports, with only a small opening to the high-pressure turbocharger, to create the heat needed for the Titan’s exhaust after-treatment system. It also creates backpressure for engine braking, and while Nissan doesn’t promote the Titan as having an exhaust brake, backpressure mode provides that functionality. So why a V-8 instead of a six? Packaging is the main reason: The 5.0 fits nicely into the same space as Nissan’s 5.6L gas V-8. 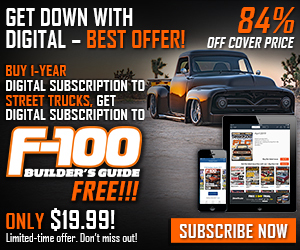 The 90-degree V-8 is inherently balanced, and it gives the engine a quick-revving nature that Cummins says will feel more familiar to buyers accustomed to gasoline engines. Driving the Titan XD, we were surprised at how much the six-speed Aisin automatic allowed the engine to rev when the truck was running light, even at part throttle. With 555 lb-ft. at just 1,600 rpm, it’s not as if the 5.0 needs to rev very high to develop power. The 5.0 does indeed have the quick throttle response much like a gasoline engine, but the strong low-end torque gives it the unmistakable feel of a diesel. Nissan is packaging the Cummins engine in a heavy-duty version of the Titan called the XD. This isn’t an HD pickup in the traditional sense; it’s meant to bridge the gap between traditional 1/2-ton and 3/4-ton pickups. Compared to the standard Titan, which had not yet been launched at the time we went to press, the XD has a longer wheelbase (151.5 inches, about 20 inches longer than the standard Titan) a higher ride height, and a taller hood line to accommodate the Cummins engine. The frame, axles and suspension components have been beefed up, and one engineer assured us that if you crawl underneath the two trucks—something he says buyers routinely do in Nissan showrooms—you will be able to see the differences between the standard and XD versions. It will come as no surprise that the XD is designed for towing. Capacity for the diesel-powered Titan XD ranges from 10,608 pounds for the top-of-the-line Platinum Reserve 4×4 up to 12,314 pounds for the entry-level Titan S 4×2—significantly less than HD trucks, but more than the typical gas-powered 1/2-ton. Carrying capacity tops out at 2,093 pounds. 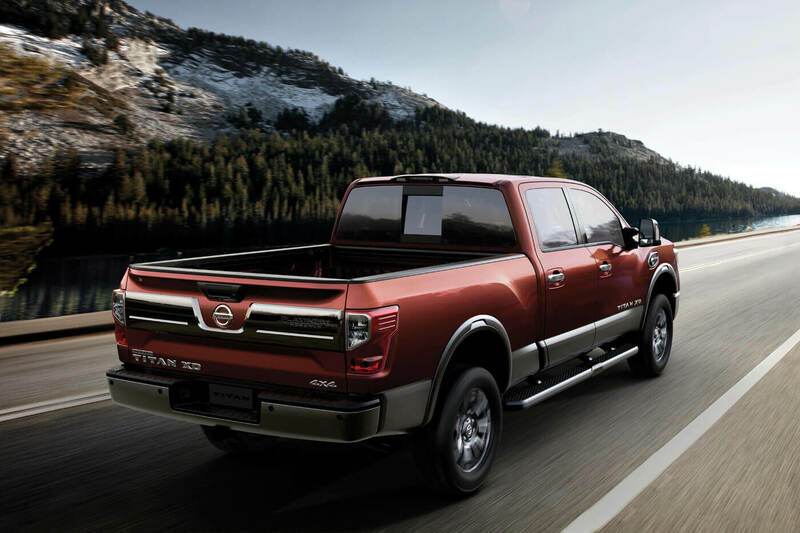 Among the design features that give the Titan XD its towing creds are a large radiator, big rear disc brakes, extendable towing mirrors and an integrated trailer brake controller. The Titan XD even offers a factory-installed gooseneck hitch: Pry off three covers in the bed, drop in the hitch and the tie-downs, and you’re good to go. A fifth-wheel hitch is offered as an accessory. 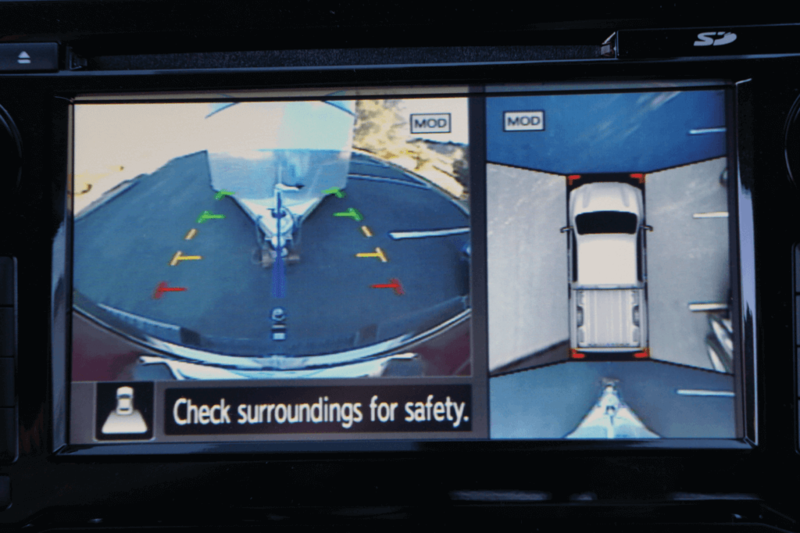 Nissan wanted to make trailer hookup a single-person operation, so they integrated guidelines into the rear-view camera to make it easy to line up the hitch. Once hooked up, pressing a sequence of buttons on the key fob will run a light test, cycling through parking lights, brake lights and turn signals. All that’s missing is a set of mechanical hands to connect the safety chains. 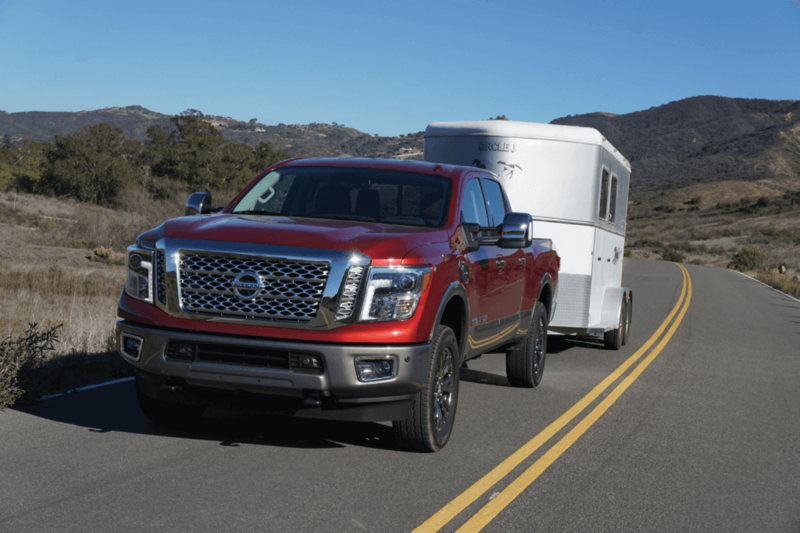 We took the Titan XD for a test-tow with a two-horse trailer that weighs around 5,500 pounds with horse and riding gear loaded. 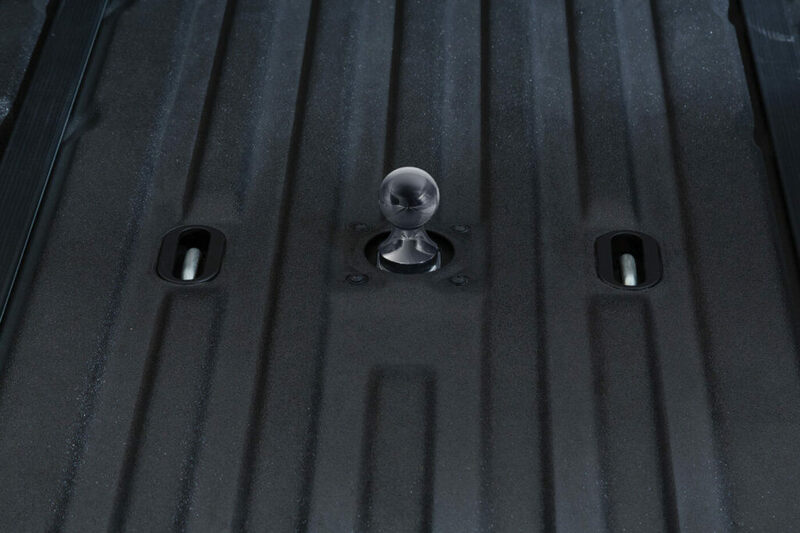 We wanted to see how easy it really was to hook up without help, so we used the rear-view camera to back up to the trailer. It took us a couple of tries—when the sun is shining from the side, it can be difficult to see the top of the hitch ball—but we were able to hook up without assistance, and the light-test feature worked like a charm. Out on the open road, we were impressed by the Titan XD’s stability. The rearend felt nicely planted, though the ride did stiffen somewhat with the trailer attached. We could definitely feel the weight of the trailer; the engine was clearly working harder than the big diesels in the domestic HDs would with a similar load, particularly on the steep hills leading up to the horse ranch. But the stability was comparable to what we’re accustomed to in a 2,500-class truck. With a live animal on board, we weren’t looking to test foot-to-the-floor acceleration, but we had no problems accelerating to highway speeds. We prefer a modest mile-a-minute pace when towing live animals, and the Nissan happily kept up its gate both uphill and down. 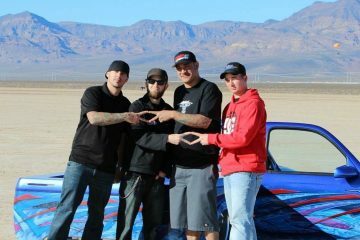 We were impressed by the Titan’s Downhill Speed Control function. With the transmission’s Tow/Haul mode engaged, tapping the brakes downshifts the transmission (and, we presume, engages the turbocharger system’s backpressure mode). It almost works like cruise control: We’d tap the brake to set our speed and the Titan would descend the hill so steadily that it appeared the speedo needle had been painted on to the face of the gauge. Once we’d had the chance to tow with the Titan XD, we began to appreciate the truck’s behavior when running light. The Titan rides like a 1/2-ton, far more comfortable than most HD trucks, though not quite as smooth as the air-spring Ram 1500 EcoDiesel. While we liked the ride, we weren’t that fond of the hydraulically boosted recirculating-ball steering, which felt vague and overly light. 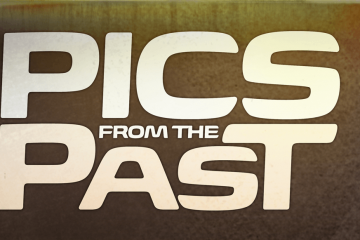 For the few of you who might have driven the old Titan, the cab will seem like a familiar place. 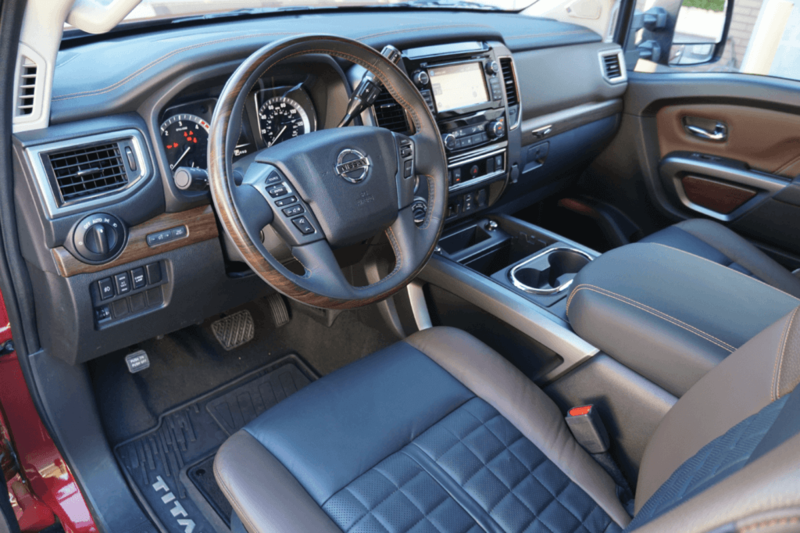 The new truck’s interior uses the same basic layout, but Nissan has used better-quality materials and trim pieces. The base-model truck is still pretty sparse, but mid-level models are far more attractive and the top-of-the-line Platinum Reserve model is downright posh. Nissan has moved the transmission shifter to the steering column, which frees up storage space; too bad the shifter blocks the view of the air conditioning controls when it’s in Drive. 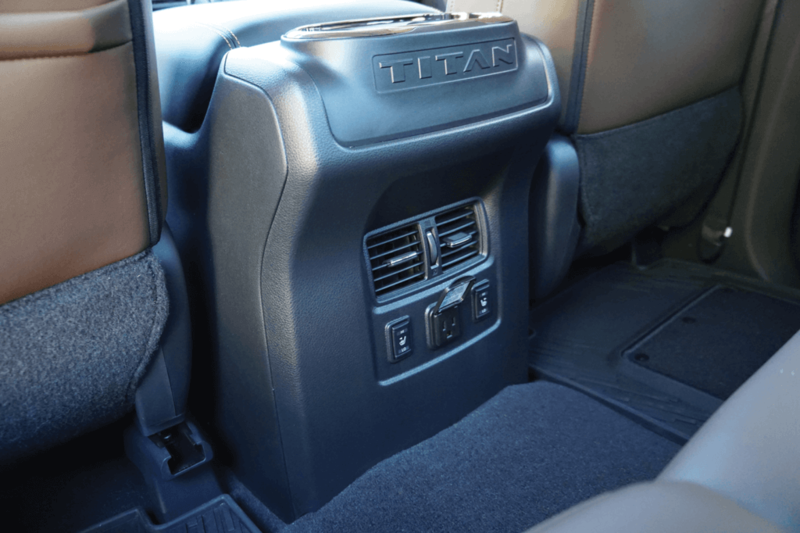 All Titan XDs come with a family-friendly four-door crew cab, and the options list includes features you’d expect to find on a luxury sedan: leather interior, dual-zone automatic climate control, a power-adjustable steering column and heated and cooled front seats. Pricing for the diesel-powered Titan XD S 4×2 starts at $41,485 (including a destination charge of $1,195), with 4×4 models priced $3,000 higher. The mid-line Pro-4X model is priced around $50k, and the top-of-the-line Platinum Reserve 4×4 lists for $61,715. How does that compare to the price of HD trucks? If all you want is raw pulling power, Ford and Chevrolet offer diesel-powered 3/4-ton trucks for around $42,000, and Ram will sell you one as cheap as $39,500. But these are stripped-down single-cab trucks with few creature comforts. Once you start adding options, the price gap grows: The Titan XD’s leather-lined SL trim, priced at $53,225, costs about $3,500 less than a comparably equipped Ram 2500 Laramie or Ford F-250 Lariat and nearly $6,000 less than a Chevrolet Silverado 2500HD LTZ. We like the new Nissan Titan XD. Though we wish the styling was a little less derivative, we appreciate what Nissan is trying to do with this truck. Here we have a pickup that will handle jobs too stressful for a 1/2-ton truck (even Ram’s V6-powered 1500 EcoDiesel) but for which an HD truck would be overkill. And we’re always happy to find ourselves driving around with a Cummins engine under the hood. Whether the general public will embrace the new Titan is another story. We all know what Cummins power did for Dodge back in the late ’80s (it essentially saved the Ram brand), but for a Japanese brand to break into the HD pickup market—well, that’s another story entirely. 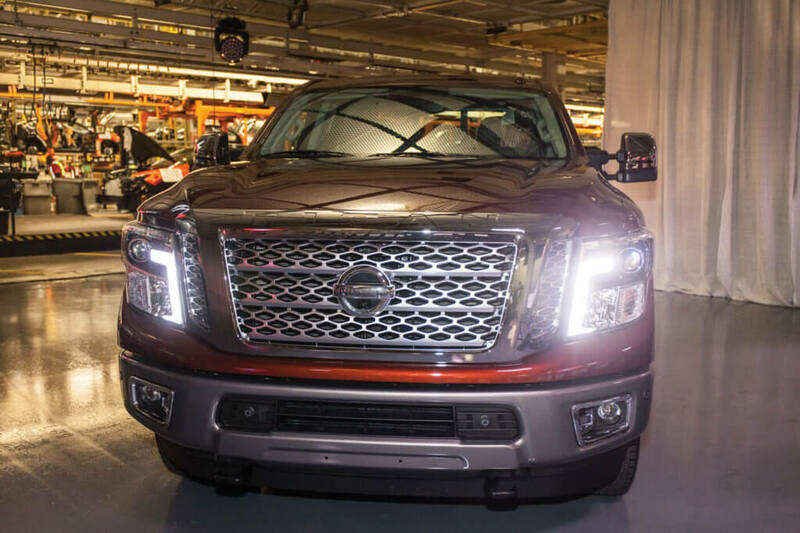 We should add that the Titan claims the right to wave the Stars and Stripes: Nissan says it was designed in California, engineered in Michigan and is built in Mississippi, with the engine sourced from a Cummins plant in Indiana. Still, Toyota has never had much success in the 1/2-ton market with the Texas-built Tundra, and we expect the new Titan XD is facing a steep uphill battle. Only time will tell if it has enough torque to make that climb. 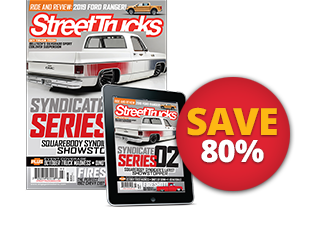 Editor’s Note: A version of this article first appeared in the June 2016 print issue of Street Trucks. 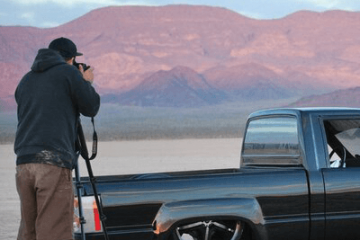 Next ArticleIs the 2017 Honda Ridgeline a Real Truck?